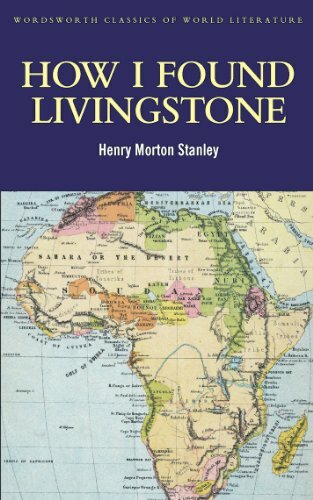 Henry M. Stanley was hired to find Dr. Livingstone who had been missing in Central Africa for years. He sets off from Zanzibar with a large party of men, horses and donkeys, and much cloth and beads to trade with the various Arab sheiks and natives along the way. But the horses aren’t made for the tough African conditions, the men desert or die of illness and trading with a hundred different tribes is not easy. Yet he succeeds, and locates Livingstone close to Lake Tanganyika just nine months after departing. I have been asking myself why I chose to read this particular book now while reading. I seem to have been stuck in a explorers’ theme, both fictional and non-fictional. I think this is the first book that I wish had fewer details, I have a feeling that I know every nook and cranny of his route, yet I had to read wikipedia to zoom out. Still, it is an interesting read, I learnt a lot about the Arab slave trade which I stumbled upon first in Paradise by Abdulrazak Gurnah, and then Out of Africa by Karen Blixen. And the description of the various tribes and races are not so horrible as could be expected at that time, but still not impressive. The big question now is what to read next? I’m really enjoying the Wandering Falcon by Jamil Ahmad, but I need something less serious to read as well. Any suggestions?